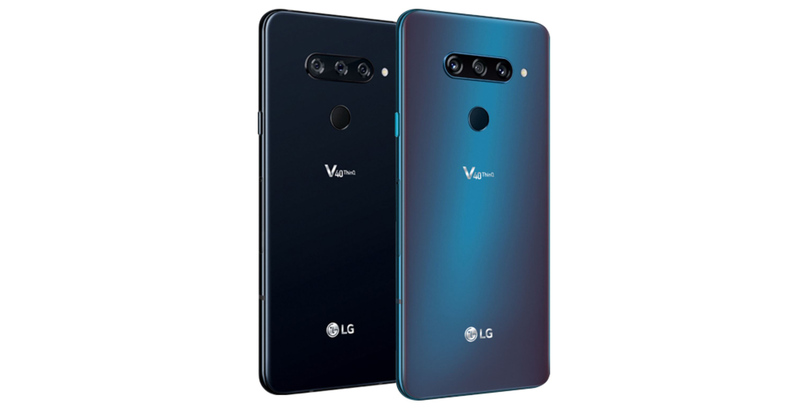 Similar to past smartphones that haven’t made their way to the Canadian market, LG’s recently announced V40 ThinQ is available for shipping to Canada through online electronics and photography retailer B&H. That said, if you want to get your hands on LG’s latest smartphone, you’re going to have to shell out a significant amount of cash. After moving through the purchase process on B&H, I discovered that on top of the smartphone’s $949 USD price tag (approximately $1,221 CAD), you’ll also need to shell out $9 ($11.58 CAD) in shipping and $157.75 USD ($203 CAD) in duties. LG recently confirmed to MobileSyrup that the V40 is not making its way north of the U.S. border. “To best meet the needs of Canadians, LG Canada will not be releasing the LG V40,” said an LG spokesperson in a statement. Rather than the V40, LG has instead opted to release the LG G7 One in Canada. The smartphone is one of the first high-end Android One devices to be released since Google launched the program back in 2014, as well as the first to make its way to Canada. The Android One name is an endorsement from Google that the device in question is secure, bloatware-free and features modern specs. LG’s recently announced V40 features a hi-fi Quad DAC and five camera array. The rear-facing camera setup includes a f/1.5 12-megapixel camera, super wide-angle f/1.9 16-megapixel shooter and finally a 12-megapixel f/2.4 telephoto/portrait camera. The front-facing pair of cameras include a f/1.9 8-megapixel shooter, paired with a f/2.2 5-megapixel. Further, the smartphone features a 6.4-inch 1440 x 3120 pixel display, 64GB of internal storage, 6GB of ram and a Qualcomm Snapdragon 845 processor.